Savvy B2B retailers are employing new technologies to meet consumer expectations and boost sales. For some time, B2B retailers have lagged behind their B2C counterparts when it comes to eCommerce, with many choosing to rely on sales made in-store, via catalogues and through sales reps. But not anymore. Valued at $10.6 trillion in 2018, the global B2B eCommerce market is now more than five times bigger than the B2C market. With recent research reporting that 93 per cent of B2B consumers now prefer to shop online direct from vendors, this dramatic shift in purchasing behaviour means it is now one of the fastest growing industry sectors today. As a result, many businesses are re-evaluating their marketing platforms. Traditional printed catalogues, for example, are expected to be phased out by more than two thirds of B2B retailers over the next five years. 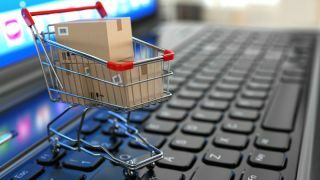 Investment in eCommerce technology by B2B firms, on the other hand, is expected to exceed that of its B2C counterparts for the first time this year. In many ways, these developments are only to be expected. After all, as consumers - whether at home or work - we rely on technology to make many different aspects of our lives easier. So why should B2B purchasing be any different? That’s not to say that all eCommerce platforms are built exactly the same. Far from it. In fact, the development of innovative technologies catering specifically for the needs of B2B retailers has been a driving force in the transformation of the sector. Flexible and relatively affordable eCommerce platforms, such as Magento, have allowed companies that rely on B2B trade to create a fluid, online sales process. Targeted B2B features and functions combine with familiar aspects of online consumer shopping to deliver a positive buyer experience. The fundamental principal behind any eCommerce platform - indeed any sales strategy - starts with an understanding of what influences the customer’s purchasing decision and ensuring the chosen technology ticks every box. For global online giant, Amazon, this translated into a significant investment in its speed of delivery, but - putting aside the obvious logistical barriers - this doesn’t necessarily mean that every retailer should prioritise the same capability. In fact, a recent survey of business consumers found a website’s usability to be the most important factor in deciding where to purchase supplies online, making it a higher priority than both user reviews and the level of product choice. What it does tell us, however, is that Amazon correctly judged what its customers’ wanted, while also - crucially - creating a clear point of difference in a crowded online marketplace. It’s also important to note that supporting the buyer’s changing needs requires technology that offers a certain level of flexibility. This will allow businesses to make changes quickly and easily, in order to continually meet customers’ expectations and maintain an edge over their competitors. B2B retailers now have the technology at their disposal to take a similar forward-thinking approach. A range of unique, easy-to-use functions can be built into their online offering that will help to attract and retain customers. Frictionless purchasing is a case in point. Recognised as a key capability that can greatly increase the chance of repeat business, investment in one-click purchasing for quicker check out and fast re-ordering is a sought-after user benefit - particularly for products bought in bulk. So too is enabling customers to control their own account and view information via a dedicated portal. Incorporating this technology into eCommerce sites is a win-win. Retailers can reduce resources allocated to real-time one-to-one assistants, while buyers are able to access all their relevant administration - such as invoices, account balance and credit limit - in one place, 24/7. Customer-service is also getting a make-over. Heavily influenced by the consumer world, where personalisation emerged as one of the hottest trends last year, tech-savvy B2B retailers are starting to take their online offering to the next level. This is facilitated by added-value options such as giving buyers the opportunity to build specific product catalogues according to individual budgets, or request a bespoke quote. Again, this cuts down the time-consuming process of going through multiple levels of customer service interaction; so supporting the fundamental expectation of every on-line B2B transaction - speed and ease-of-use. Customised payment options: to maximise sales and convenience, with support for payments on account, credit cards and alternative payment methods. Automated business rules: to optimise fulfilment costs and delivery times. Fast and convenience purchase options: by inputting SKUs, uploading CSV files or choosing from pre-set requisition lists. Mobile optimisation: capitalising on the trend for on-the-go purchasing and empowering customers to place orders on any device at any time. Given the size of the opportunity - B2B eCommerce market is increasing at a CAGR of 15 per cent (2015-2020) - attention is already turning to new revolutionary technology aligned with increasingly sophisticated customer demands. Augmented and Virtual Reality is on the wish list for many retailers - particularly those selling visually appealing products, such as office furniture. This category may be enjoying growing on-line sales - largely thanks to the relative speed of purchase compared to visiting multiple stores - but could realise even more sales by bringing products to life through 3D imaging. According to a recent survey, 20 per cent of consumers pointed to poor visualisation as a sticking point when buying products online. It would be naïve to assume, however, that every available tool should be adopted by every business. The introduction of Artificial Intelligence, for example, or the use of a digital chatbots service may not represent added value to customers in all sectors. Equally, investment in voice assistance for purchasing may not make the desired difference to the bottom line if it is not identified as a priority by the core customer base. Ultimately expertise and a strong level of customer service will always be the most highly valued factors in the purchasing decision for business to business customers. These values should be built into eCommerce platforms - no matter what the size or scale of the operation. But it’s a constantly changing environment, so retailers need to regularly review whether their virtual presence stands up to the competition. Constant monitoring of website content, functions and analytics will keep the strategy on track, while adaptation and evolution - even if only incremental - will be key for those looking to stay ahead.